As little as 15 years ago, Indianapolis had over 40 existing buildings that housed the movers and shakers of its automotive industry. Sadly, every few years we lose one or two of these reminders of our transportation era. Sometime in early 2011, the Premier Motor Manufacturing Co. plant at 3500 East 20th Street was leveled. Thus, we lost another Indianapolis automotive landmark. Let’s look at this little known automaker. 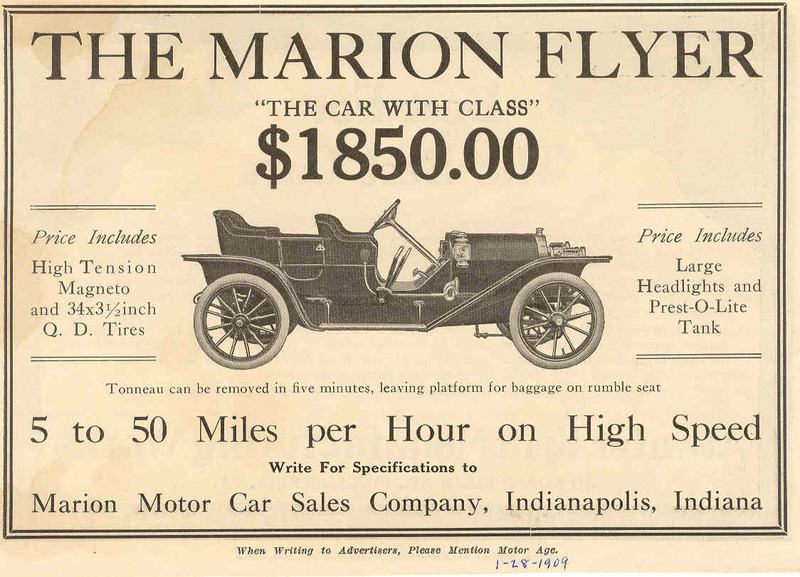 George B. Weidley and Harold O. Smith organized the Indianapolis-based Premier Motor Manufacturing Company in 1903 with a capitalization of $50,000 for the production of air-cooled cars. Premier’s early claim to fame was the use of the oak leaf on its radiator badge, which the company said was the first use of an emblem as an automobile trademark. 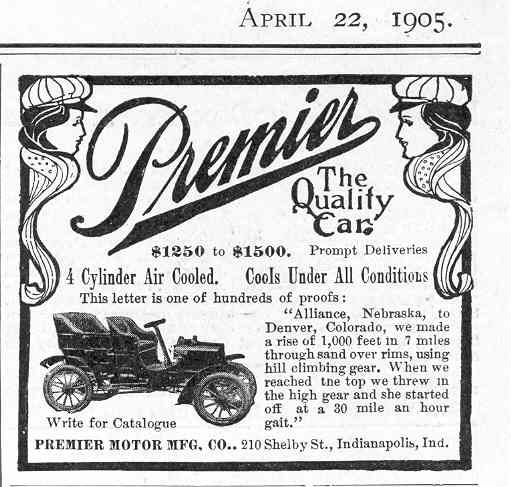 Premier made the transition to water-cooled engines in 1908. When Premier completed the 1909 Glidden Tour, it had established an unprecedented record of three perfect scores. 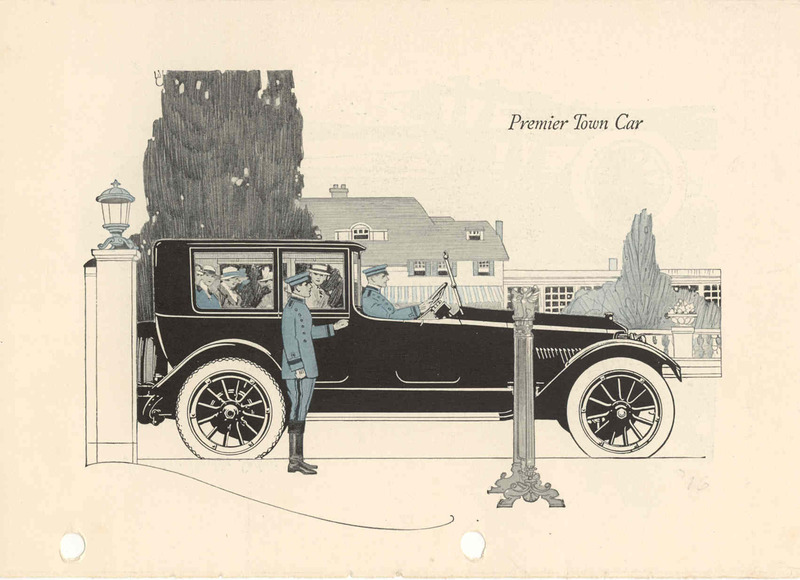 In a 1909 Motor Age advertisement, Premier boasted, “Do not judge the Premier by its best performance. Judge it by its average performance.” The company introduced its first six in 1908. Starting in 1913 on, Premier built only sixes. On October 15, 1914, Premier entered receivership. In December 1915, the company was reorganized as the Premier Motor Car Company. The 1918‑1920 Premier was notable mainly for its use of the Cutler‑Hammer “Magnetic Gear Shift,” an electric transmission system controlled by a push button arrangement mounted on the steering column. The overhead-valve, 295 c.i.d. engine was an advanced six, with a one-piece aluminum block, crankcase and pistons, and cast-iron cylinder liners. In 1920, L. S. Skelton reorganized the company as the Premier Motor Corporation. Troubles followed the company through the spring of 1923 when the company emerged from another receivership as Premier Motors, Inc. In the same year, Premier obtained control of the Monroe Motor Company and then marketed the Monroe four-cylinder car as the Premier Model B in 1924. 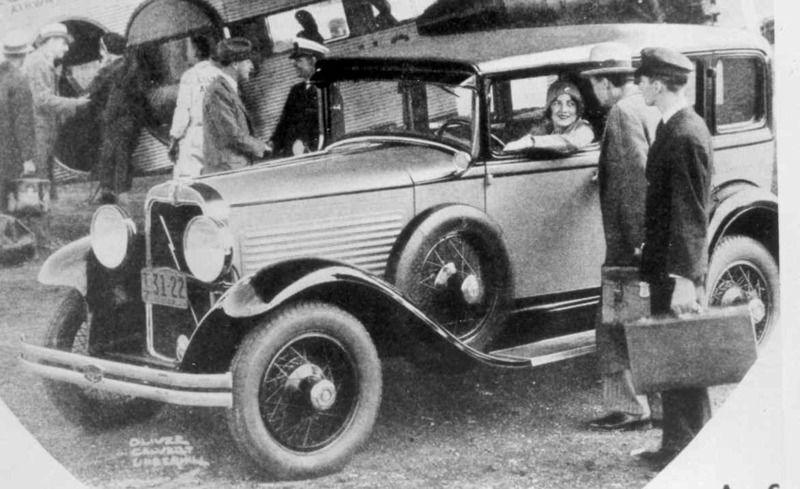 The Premier six-cylinder car remained as the Model D through late 1924. Late in 1923 the company received a contract for building 1,000 Premier taxicabs. From then on, taxicabs were the firm’s only products. In October 1926, Premier sold out to the National Cab & Truck Company of Indianapolis. Over the course of 23 years, Premier produced over 10,000 automobiles. Yet, seeing one today at a museum or auto show is a rare experience. The Indianapolis Motor Speedway Hall of Fame Museum has Carl G. Fisher’s Premier car commissioned for the 1905 Vanderbilt Cup race. So, the next time you are traveling east on I-70, just before Sherman Drive, look due south at the huge vacant lot south of 20th Street. That’s Premier’s former location. This is one that I had never heard of before. It was a sad day on the drive to my in-laws when I realized the ‘tower’ at the entrance of the old Premier plant was no longer there. Here’s a link to a video showing a running Premier automobile. Thanks, Dennis, great article! Thank you for commenting on this post. 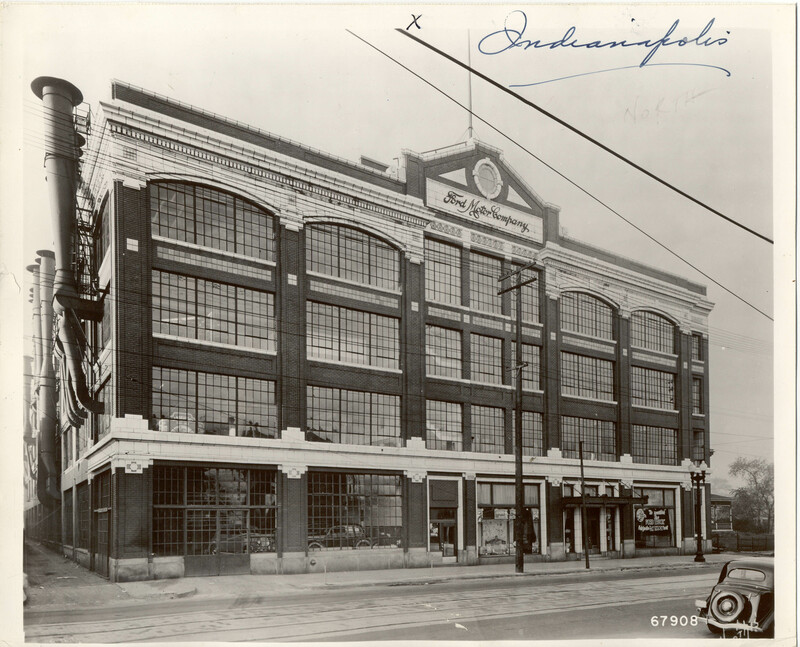 Indianapolis had over 90 models of automobiles manufactured here. That’s why I like to share information about our automotive heritage. We need stewards to look after our remaining automotive buildings. If you see one in danger, please let me know. I’ll be sharing more in the future. Thanks for documenting auto history. I have what I believe is a 1918-1920 Preimer six cylinder engine in my barn. Your description helped identify it! Great article. I am loving exploring your website as well. Do you have any pictures of these buildings either from their heyday or recent ones? I just read your reply regarding endangered Indy auto landmarks. I fear that the Lafayette plant in Mars Hill may be in jeopardy from the looks of it. Thanks for your heads up. Your Lafayette plant concern doesn’t surprise me. The building has looked sad for a few years. This is fairly typical for old industrial plants. It probably needs an angel to rescue it. We can only hope that someone will see value in this auto landmark. Just happened on Wiki about General Walter Bedell Smith (Eisenhower’s right hand man). Born and raised here in Indy, turns out he worked at National before joining the Indiana National Guard. Interesting comment about General Smith. See today’s post about National for information the copamy’s stie. I very much enjoyed your piece on the Premier automobile. I want to inform you of some missing information about this company. I recently read other information about the Premier in the standard catalog of American Cars 1805-1942. In 1915 Premier as well as the Mais Motor Truck Co was purchased by a syndicate of investors. The catalog states that syndicate was headed by F.W. Woodruff, a banker from Joliet IL. Woodruff was a member of this group, but the chief financial engineer was my grandfather, Dr. J.C. Flowers. also of Joliet. My grandfather was also listed as President and Gen. Mgr. as well as a member of the board of directors. He was a prominent Joliet physician and financier. The incorporation of the Premier Motor Car Corp.( of Delaware) took place on Dec 30, 1915. The company was re -incorporated by my grandfather and the original syndicate from 1915 as the Premier Motor Corporation on Oct. 23, 1916. Your article lists this name change as taking place after the purchase of Premier by L.S. Skelton in 1920 This is incorrect. This information can be verified in the Moody’s Analyses of Investments of the era, (see page 1988). The standard catalog also addresses my grandfather’s first venture into the auto business without any mention of his name. He cofounded the Economy Motor Buggy Company in 1907. The catalog correctly states that William R. Everett was president. There is no mention of my grandfather as the financier. When the company fell afoul under patent infringement, the company was closed and moved to Joliet IL where my grandfather lived. In a 6 month period beginning on Jan. 13, 1909 he built and equipped a new factory in Joliet. Success Motor Buggy Co. of St. Louis found them and the company went into receivership in 1911. Information about Premier coming to Joliet is contained in an article in the Joliet Evening Herald of Jan. 31, !909. The factory is still standing. I’m surprised that the research people missed this information regarding my grandfather. It is available on google. He was a prominent physician and financier during the turn of the century. He was the financial engineer of the Port of Palermo as well as other projects. Your comment is one of the things I like about being an automotive historian that is uncovering the story behind the business or events. A couple of times, I’ve been contacted by descendants of auto executives and workers wanting to share or learn information about their relatives. Your information about your grandfather: Dr. J. C. Flowers, a prominent physician and financier in Joliet, IL, is all new information to me that was not reflected in my information resources or writing about Premier. You add new light to the story about sharing our history. I believe it is important to share the story of our ancestors whoever and whatever they did. I suggest we write stories and collate photos of our fathers and mothers so that our descendants and others have some idea about their ancestors. My name is John Skelton. I believe Dr. L.S. Skelton is a cousin of mine (and also of Red Skelton). He practiced medicine in Vincennes until 1893 when he moved to Oklahoma for health reasons. Dr. Skelton was also involved in the Skelton Motor Company in St, Louis. Would you like photos of the 1909 Economy Buggy and other documents regarding my grandfather? Ha ha ha, yeah. It should. I’m not knocking it from the perspective of having a fun, competitive game, but then 40k’s aerial mechanics are kind of an ugly bolt-on still. Some of the best AA on flyers, are weapons for use against ground targets. 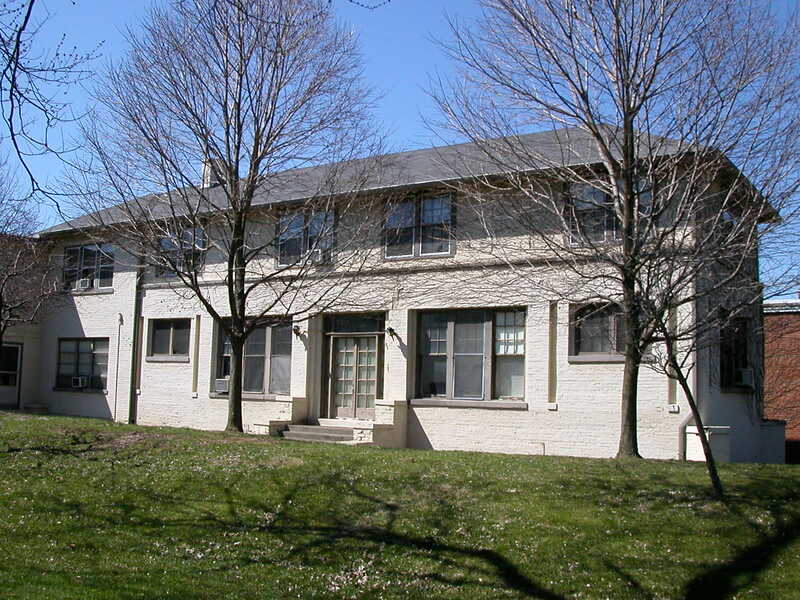 We are trying to save the beautiful building that your grandfather had built to entice the company to move to Joliet. I am very much of a history buff and know a lot about the company. Please contact me at kapteyn.robert@yahoo.com.